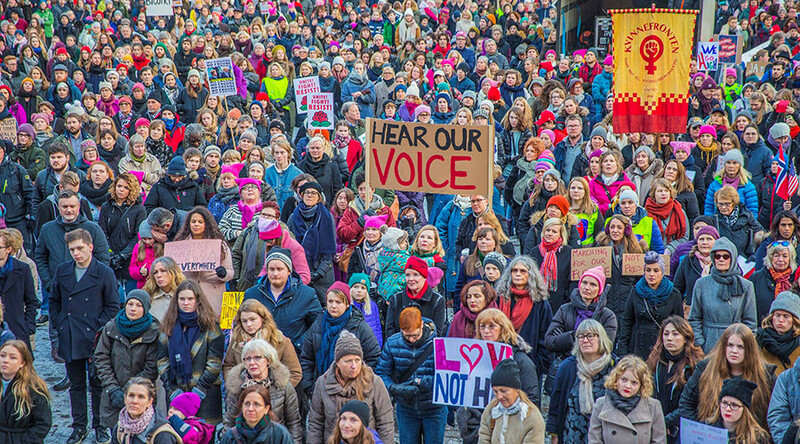 Thousands of women are marching in cities around world to call for the protection of civil liberties and diverse cultures which organizers say have been threatened by the recent US presidential election. The day of action centers around the Women’s March which has been organised near US Capitol buildings, Washington, on Donald Trump’s first full day in the White House. So far, sister rallies have taken place in Japan, Australia while demonstrations are also happening in European cities like London, Paris, Barcelona, Dublin and Milan. San Francisco City Hall illuminated in pink to show support for ‘Women March’ participants. Between 75,000 - 150,000 people attended the Denver demonstration, according to organizers, with some marchers claiming the numbers exceeded 200,000. Organizers for the Women's March on Portland say 100,000 people took to the streets Saturday. An estimated 2.6 million people took part in 673 marches - in all 50 US states as well as 32 countries across the globe, KTVB report citing organizers. The largest rally took place in Washington DC, with well over 500,000 protesters. In Chicago, the crowds swelled to 150,000. In New York City, the number stood at 200,000, while Boston had more than 100,000 people on its streets. "Penguins for Peace" march was even held by the women who are stationed at US research center in Antarctica. — Reese 💫 (@charissemarciaa) 21 января 2017 г. Thousands of protesters surround Trump Tower in NYC. — ThinkSnews (@thinksnews) 21 января 2017 г. Around 10,000 people attended the march in Vancouver, according to the city’s police estimates. — Keiynan Lonsdale (@KeiynanLonsdale) 21 января 2017 г.